The Galaxy M10 and Galaxy M20 come with Exynos processors inside, generous displays with a waterdrop notch, and dual cameras on the back. Sadly, they only run Android 8.1 Oreo out of the box. These handsets will be available in India — for very competitive prices — only through Samsung's own online store and Amazon. 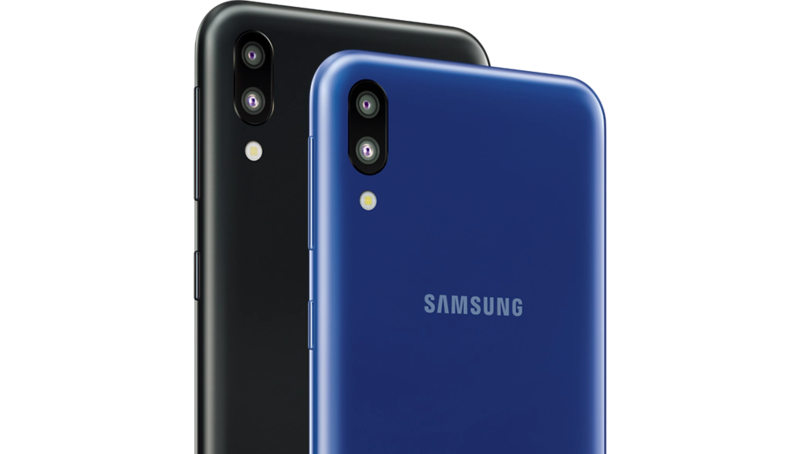 Unveiled by Samsung at the end of January, the Galaxy M10 and Galaxy M20 are now both available for purchase in India. Unfortunately, while they come with very good prices and a comprehensive set of specs, these new handsets can only be purchased from Amazon and Samsung's official online store so Flipkart fans might be disappointed. In addition to the above, there are quite a few common specs and features, including the main camera setup with 13 + 5 MP sensors and the Android 8.1 Oreo-based firmware. The good part is that an update to Android Pie is in the cards, but there is also a downside: this update is scheduled to arrive in August. The prices start around the equivalent of just US$110 for the 2 GB + 16 GB Galaxy M10 and go up to around US$180 for the 4 GB + 64 GB Galaxy M20. The list of color options includes only two choices, namely Charcoal Black and Ocean Blue.